Moisturisation is a very important part of our regular skin care routine. It becomes even more important as we grow older and our skin loses its elasticity. 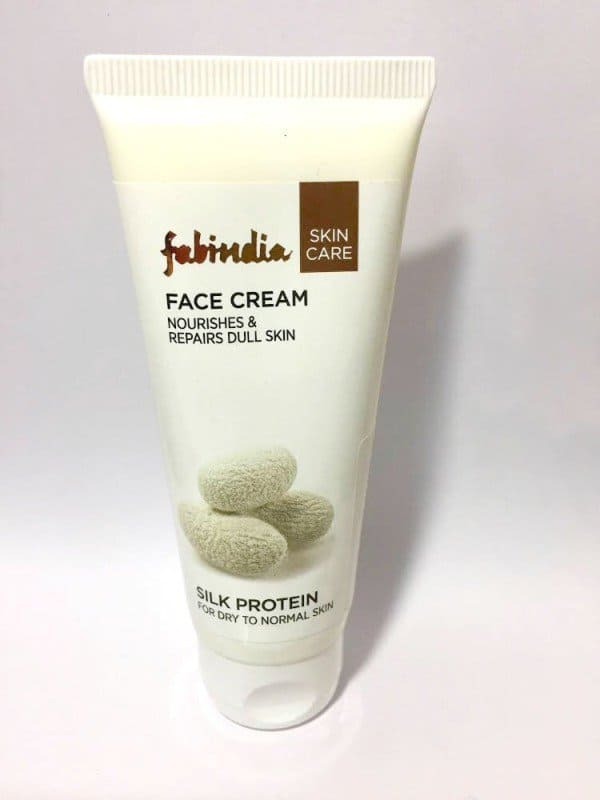 It is in the search for a perfect moisturizer that I came across Fabindia Silk Protein Face Cream. 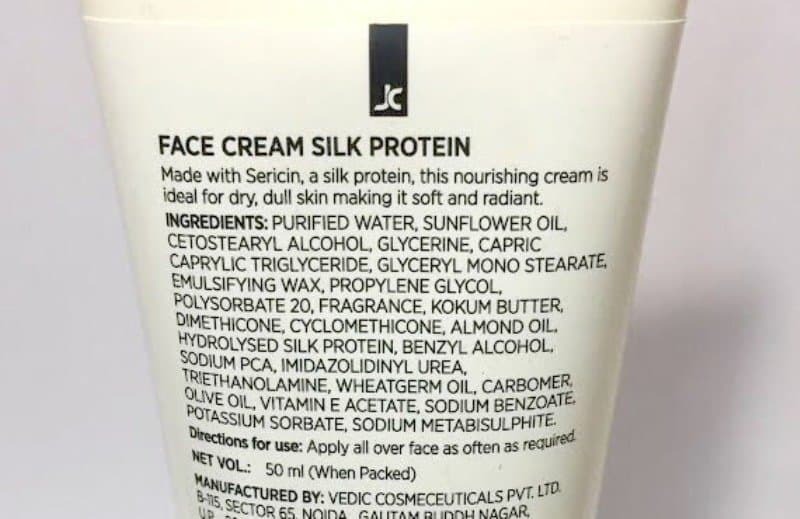 This face cream is made with Sericin, a silk protein. It claims to be ideal for dry, dull skin making it soft and radiant. So, what is silk protein? It is the protein that silkworms use to make silk. Silk protein is high in amino acids and this makes it a great ingredient for skin care products. 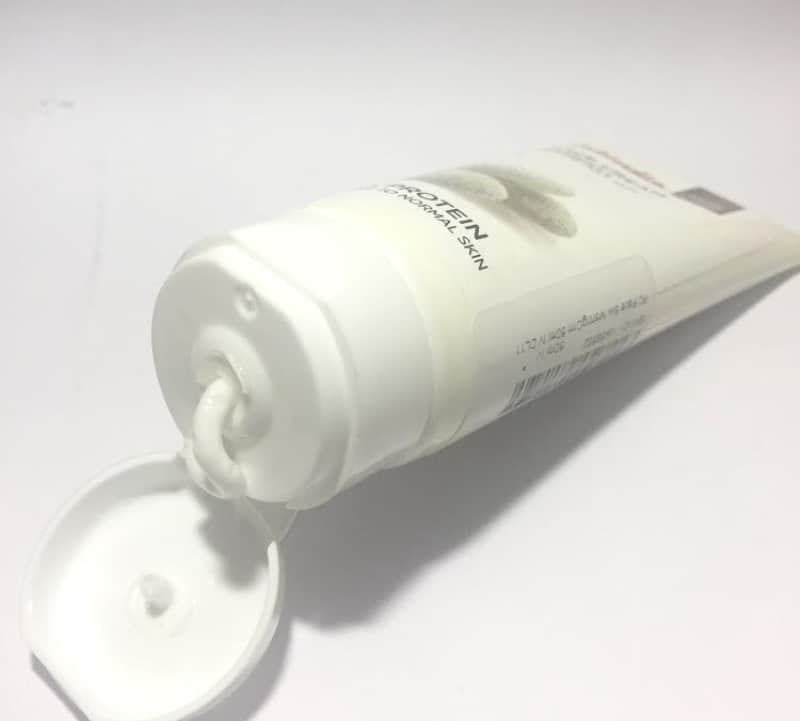 Ingredients: Purified water, sunflower oil, cetostearyl alcohol, glycerine, capric caprylic triglyceride, glyceryl monostearate, emulsifying wax, propylene glycol, Polysorbate 20, fragrance, kokum butter, Dimethicone, Cyclomethicone, almond oil, hydrolysed silk protein, benzyl alcohol, sodium PCA, imidazolidinyl urea, triethanolamine, wheat germ oil, carbomer, olive oil, vitamin e acetate, sodium benzoate, potassium sorbate, sodium metabisulphite. Packaging: It comes in a plastic tube packing. It is convenient and easy to use. It’s great to carry around in your purse while traveling as it does not spill. Application instructions: Apply all over the face as often as required. 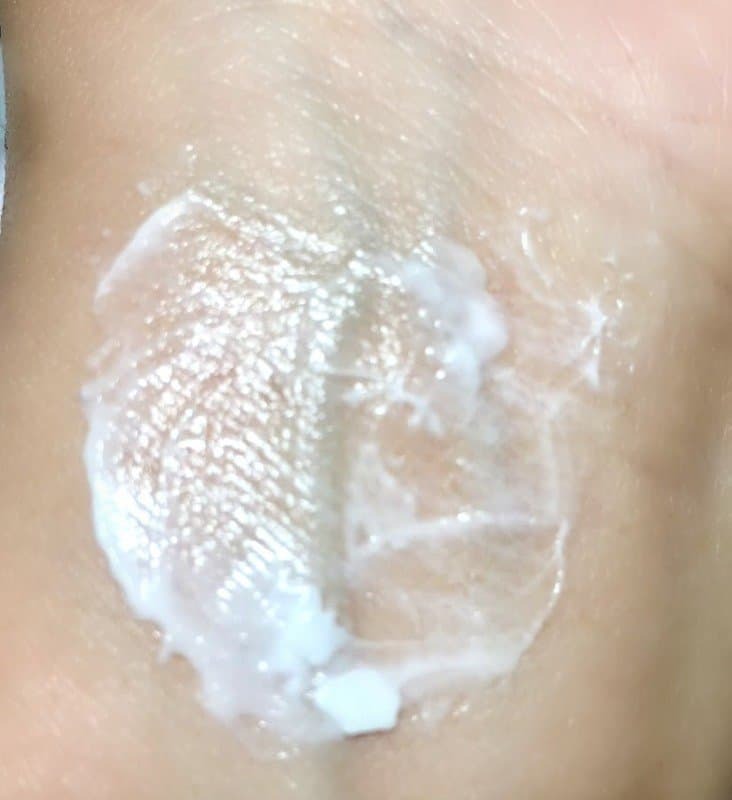 Colour, texture, and fragrance: This cream is milky white in color and is quite dense in texture. It may seem like a heavy cream, but it gets absorbed very well. The fragrance is very soft and pleasant. Experience: The packaging mentions that this cream is for dull, dry skin but then don’t we all get dry skin during winter season. This cream actually worked wonders for my skin. I have been applying it for only over a week and I can feel the difference in my skin. In spite of its thick consistency, it gets absorbed into the skin well. It is not one of those sticky creams that make your face oily, which can be a magnet for dust. I would like to especially recommend this cream to all those who get that dry scratchy feeling on their face during winter months. Yes, I am definitely going to buy this product again. Highly recommended for those with dry skin. I agree with you, the packaging looks slightly dull..